(front row l-r) F.L. Dupree, Earle B. Combs Sr., Harry M. Sparks, Thomas B. McGregor, Dr. Russell I. Todd (back row l-r) Robert R. Martin, Sidney W. Clay, Wilson Palmer, J.C. Powell. 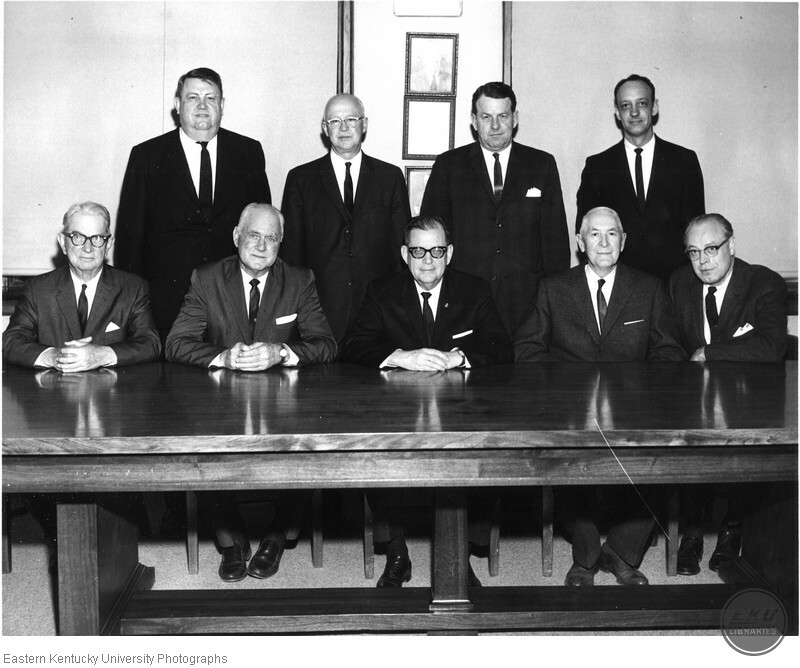 “Eastern Board of Regents,” Digital Collections, accessed April 22, 2019, https://digitalcollections.eku.edu/items/show/33319.